Kusadasi is situated on the Aegean Sea on Turkey’s west coast. There’s a lot to explore and enjoy around the city. The Fortress Mosque built in the 17th century has sixteen stained glass windows and the main door is decorated with mother of pearl. 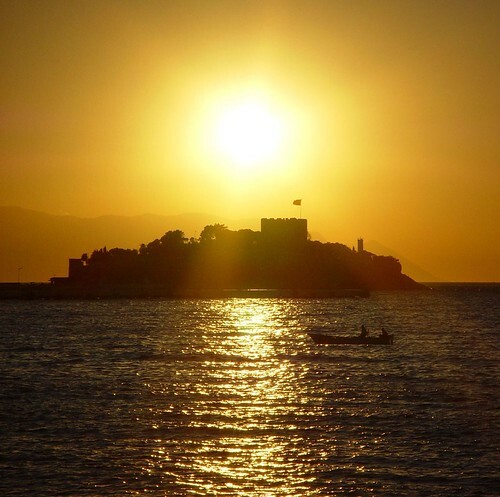 The Kusadasi Fortress is on Pigeon Island, just across from the promenade. Kusadasi is one of the best places for shopping in Turkey. There are many markets and shops in the pedestrianised city centre. 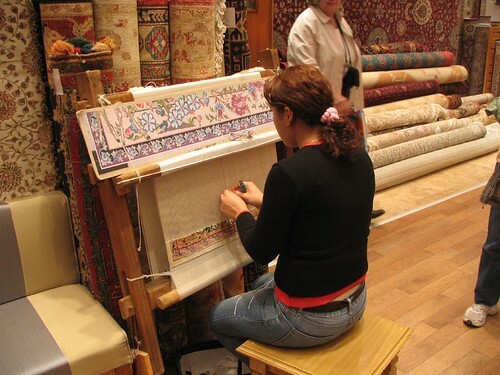 Two of the best items to buy in Kusadasi are hand woven carpets and gold jewellery. Palm Beach lies between the harbour and marina, so it gets pretty busy due to its central location. You can walk to Ladies Beach from the city centre in around 15 minutes. This beach used to be for women only, but is now open to everyone. You’ll find the beautiful Kalamaki beaches in the Dilek peninsula National park, 20 miles south of Kusadasi. Named as one of the top ten global water parks, Adaland in Kusadasi is a complex of three water based theme parks; an Aquapark with slides and rides such as Big Tornado and Kamikaze, Dolphinpark where you can swim with dolphins and watch seal and dolphin shows, and Seapark, where you can swim through an aquarium and feed rays. The archaeological site Ephesus is located 12 miles from Kusadasi. 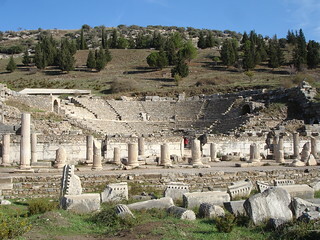 It was built by the ancient Greeks and was later the 2nd largest city of the Roman Empire. It was the home of the Temple of Artemis, one of the 7 Wonders of the Ancient World. The site contains the largest collection of Roman ruins in the eastern Mediterranean. The Ephesus Museum is in Selcuk, three miles from the site. If you fancy a change of country it takes just over one hour to reach Greek island of Samos by ferry.